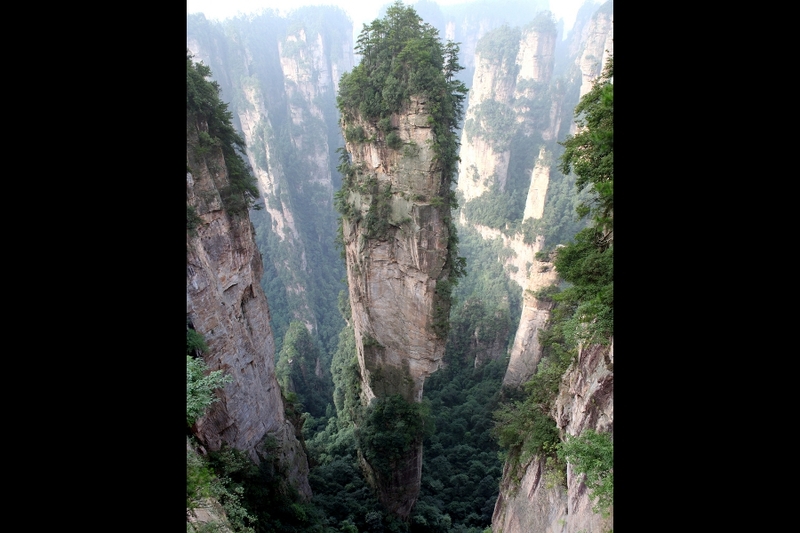 Much like rare cloud formations, these rocks, stacks, pillars, caves, cliffs, massifs, volcanic plugs, karsts, arches, hoodoos, and concretions illustrate the tremendous diversity present in all Earth systems. Once you’re fired up by the images below, check back to our rock climbing page + destination pages to plan your next expedition. 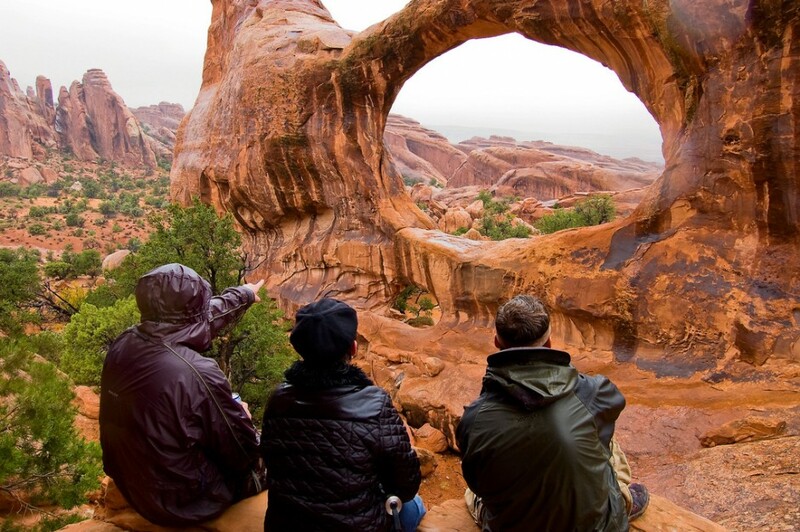 There are over 2,000 natural sandstone arches within this national park near Moab. Double O (you can see the second, smaller window just below the large one in the shot above) is located in the Devil's Garden area of the park, where many of the most photographed formations are found. 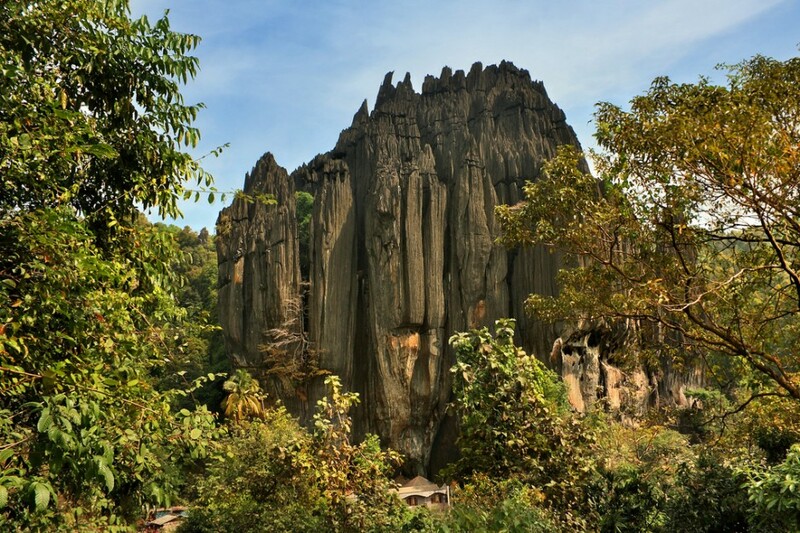 Man-Pupu-Nyor means "Little Mountain of the Gods" and is the name of the hill on which these formations -- the Seven Giants -- stand. 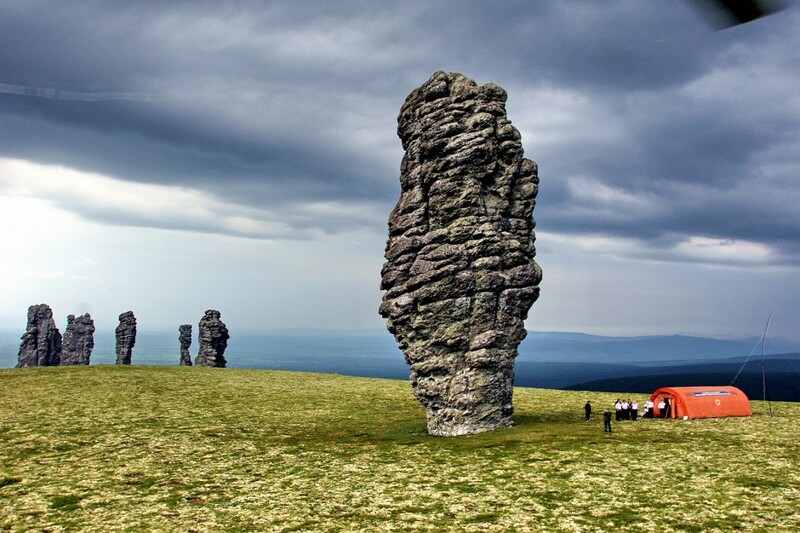 The Komi Republic is remote and sparsely populated, the Ural Mountains rising to its east. The republic gets its name from the Komi people, an ethnic minority whose history has been connected with that of Russia since the 1100s AD. 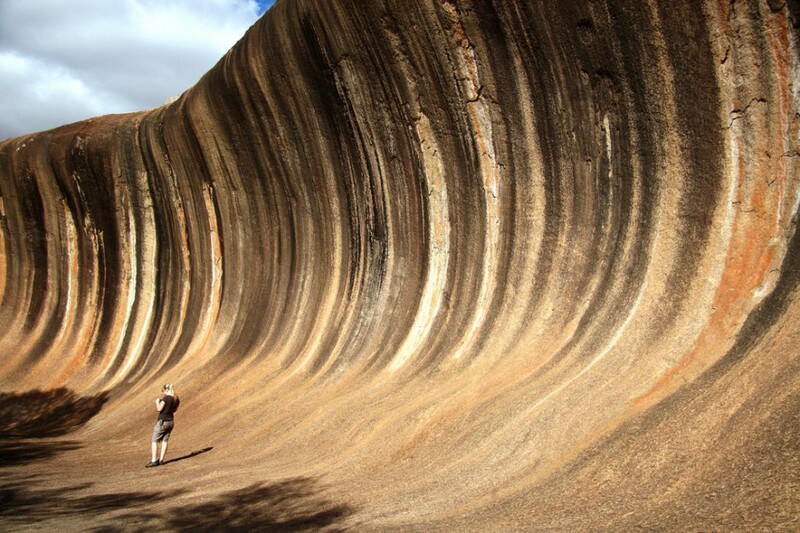 This 47ft-high, 350ft-long monzogranite formation is just outside of Hyden, Western Australia, 300km east of Perth. 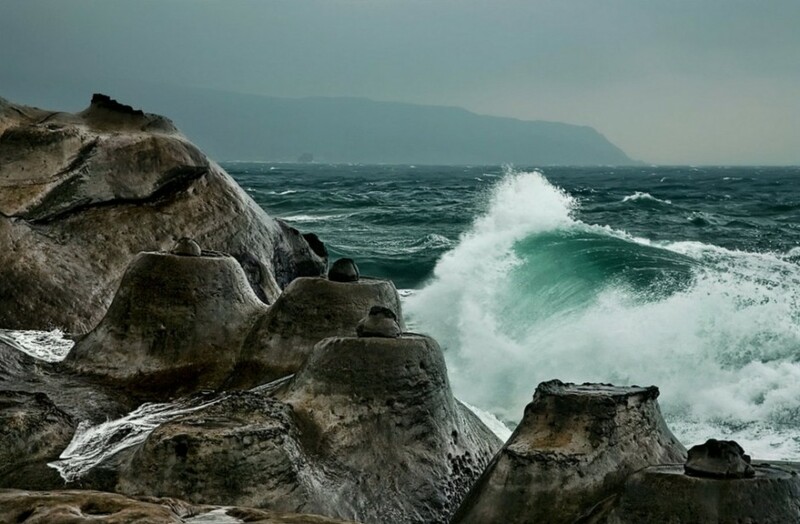 It's crazy how, when captured by a skilled photographer, the rock appears to be in the process of 'breaking' on unsuspecting visitors. There's a massive section of the Sahara in northeastern Chad that's home to some pretty incredible sandstone towers and arches. 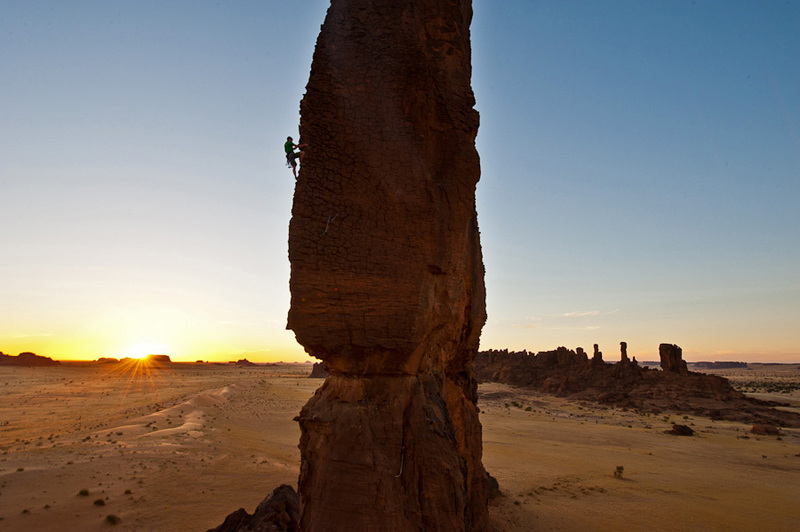 Check out Matador's Convo with Jimmy Chin and Tim Kemple on climbing the Ennedi. 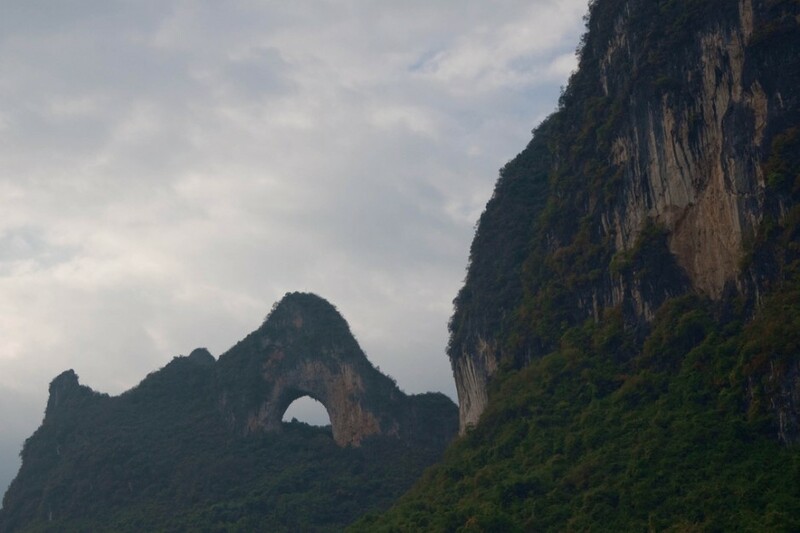 A karst formation near Yangshuo in southern China, Moon Hill is an old limestone cave that's eroded to the point where all that remains is this sweet doughnut of an arch. There's a 20-minute trail to the base of the arch -- prepare to be swarmed by food / drink vendors. 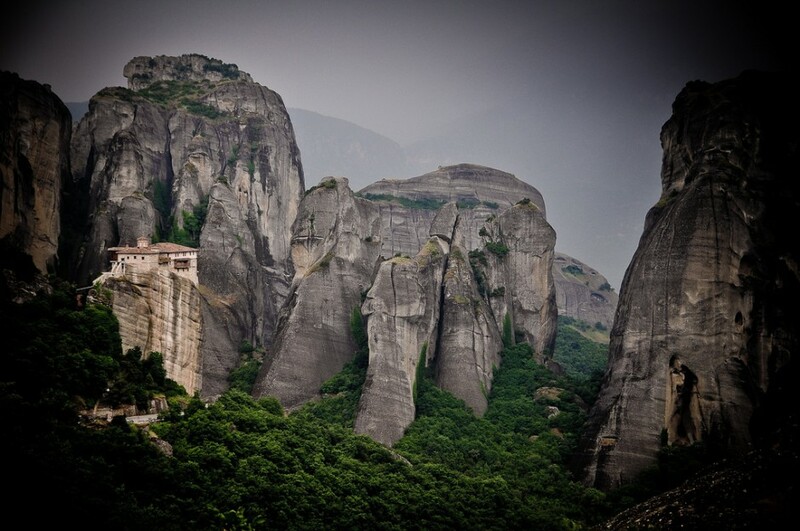 The 6 monasteries that make up the Meteora, on the edge of the Plain of Thessaly in central Greece, are constructed on top of the sandstone pillars that are the weathered remains of a plateau created during a period of seabed uplift around 60 million years ago. 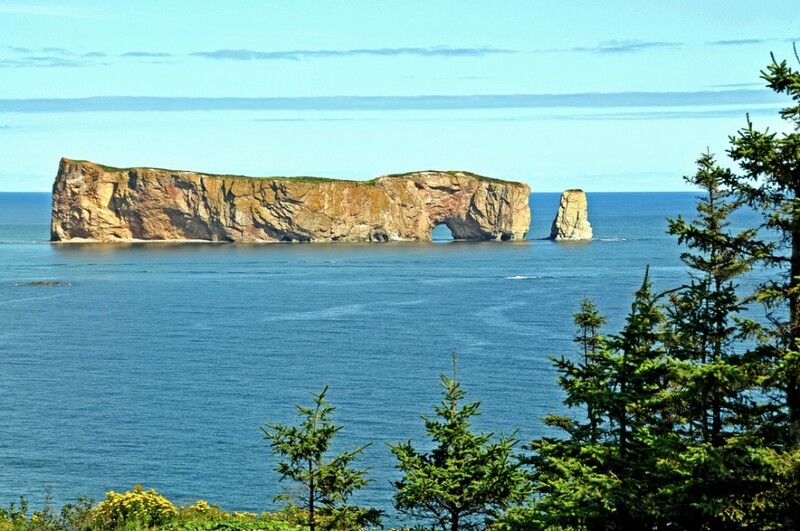 There are many cliffs on the Quebec coast of the Gulf of St. Lawrence -- Percé Rock happens to stand in the sea a few hundred meters offshore. It's 88m high, over a kilometer long, and has a 20m-tall natural arch -- one of the largest such water-bound formations in the world. 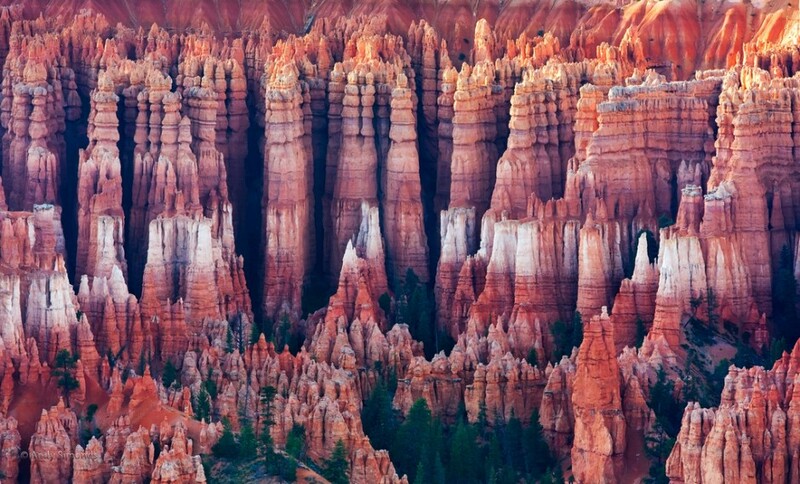 Technically not a canyon, Bryce consists of a series of amphitheaters eroded into the side of the Paunsaugunt Plateau. 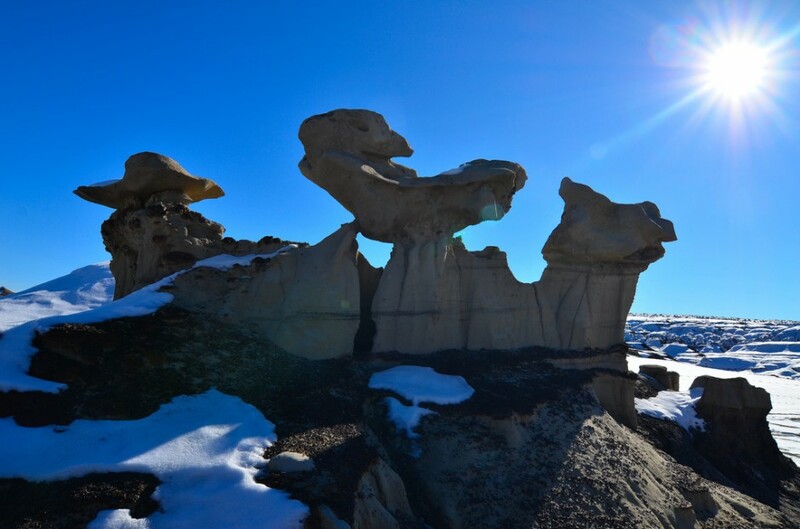 Filling these spaces are the park's most distinctive natural features -- hoodoos, pinnacles of colorful eroded sedimentary rock as tall as 200ft. 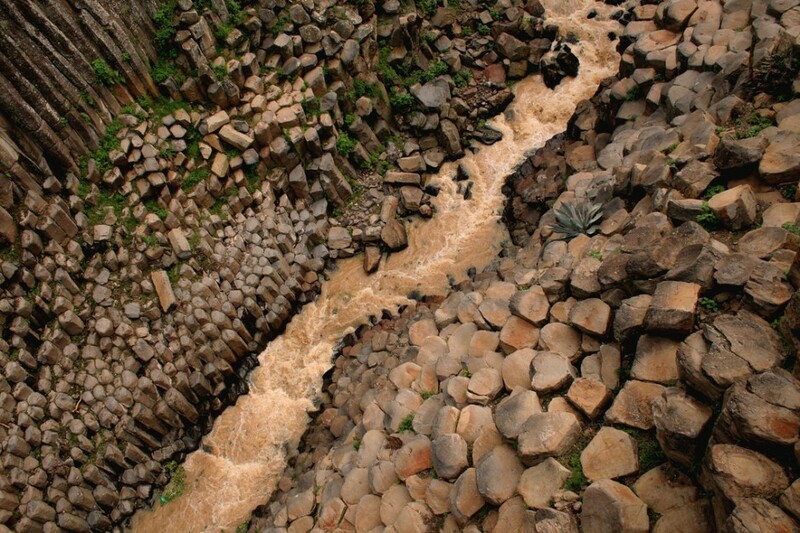 The natural phenomenon of columnular basalt is a volcanic byproduct -- the (mostly) hexagonal columns form naturally as thick lava rapidly cools, contracting and creating cracks in the surface of the new rock. The site pictured above is near the Santa Maria Regla Hacienda, north of Mexico City in the state of Hidalgo. These massive boulders of calcite-fused mud took 5 million years to form under the seafloor off the coast of Otago. Like Devils Tower, they remained hidden until uncovered gradually by forces of erosion. Within easy view of Catania, Sicily, are three jagged islets that according to legend are the stones thrown at Odysseus in the Odyssey. This story is supported by their local name: the Islands of the Cyclops. 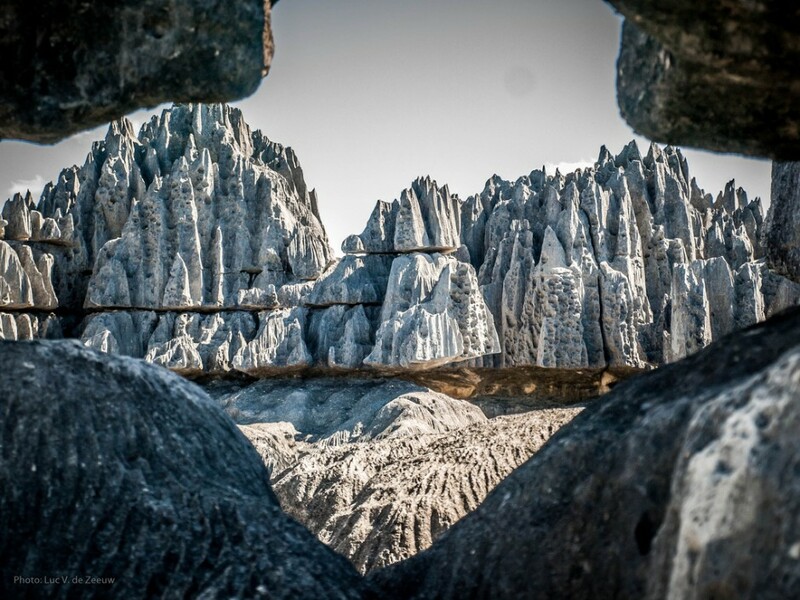 "Tsingy" is the Malagasy name for karst limestone formations. This area, part of which is included in Bemaraha National Park, can be accessed by road from Morondava (the city famous for its proximity to the Avenue du Baobab). 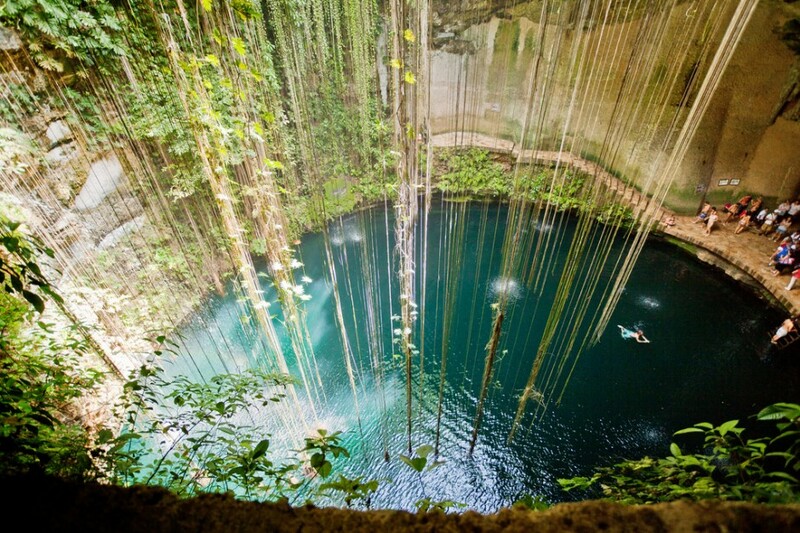 The Yucatan is covered with cenotes, deep pits that result from the collapse of sections of limestone bedrock, revealing the water table beneath. Ik Kil is located in the archaeological park of the same name, near the Mayan site of Chichen Itza. Its water is swimmable -- every day, hundreds of visitors take advantage. 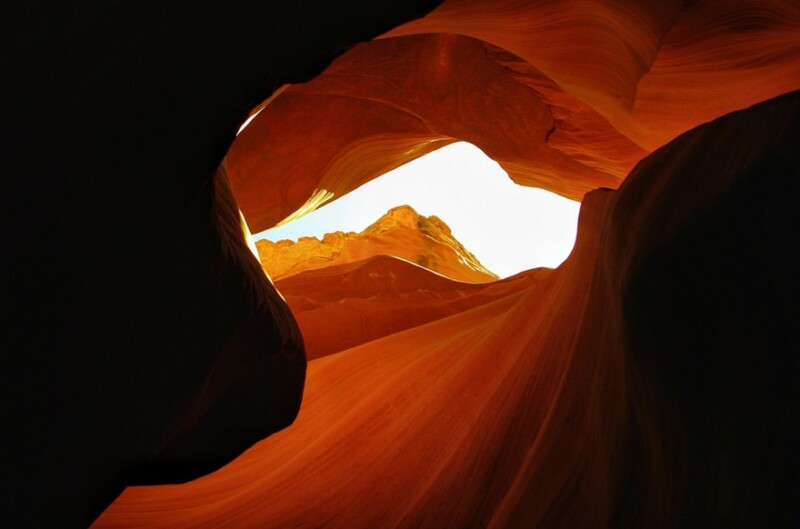 The Four Corners region of the Southwestern US is particularly rich in unique rock formations -- Antelope Canyon is one of the most visited. Located on the Navajo Nation in central Arizona just south of the Utah border, the canyon is only accessible by permit and guided tour. 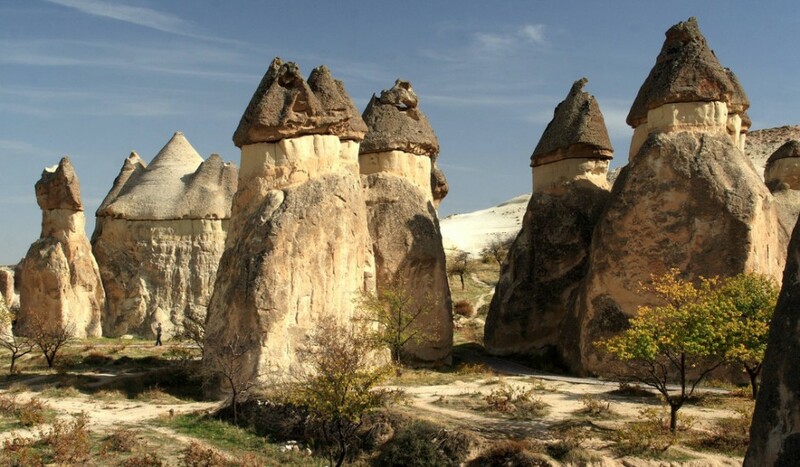 The area around Göreme in central Turkey is covered with hundreds of these fairy chimney formations, which, centuries ago, had homes, churches and monasteries carved into them by the locals. Today, some structures function as hotels, and balloon rides are a hot tourist commodity. 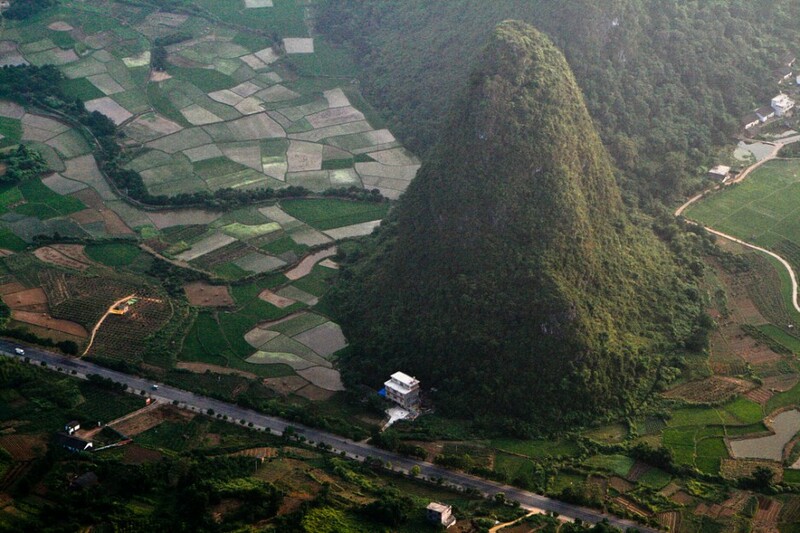 The photographer doesn't provide the specific location of this massive karst pyramid in Guangxi. 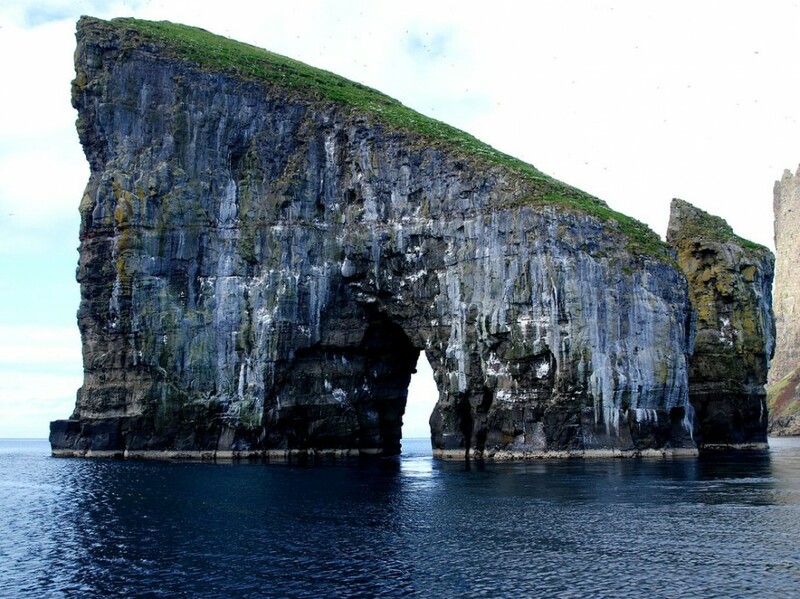 The Drangarnir are two massive sea stacks off the coast of Vágar in the Faroe Islands, directly adjacent to the five-peaked islet Tindhólmur. This bay due east of Hanoi contains around 2,000 limestone islets, all of which display the dramatic effects of 20 million years of erosion. 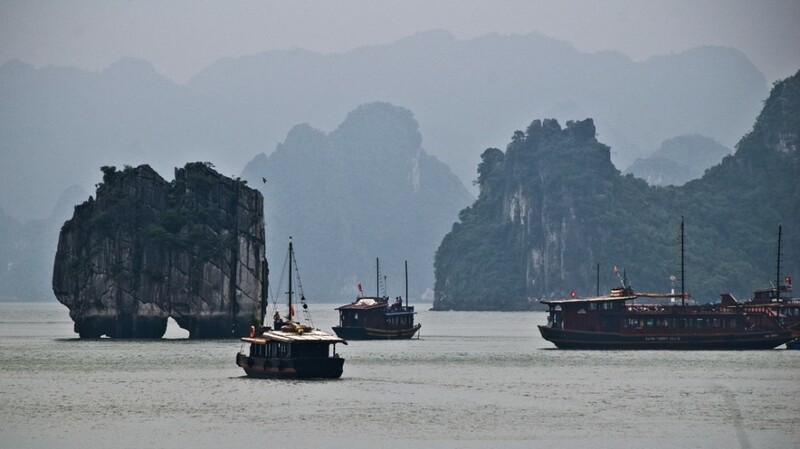 Check out Sergey Kahn's Climbing in Vietnam’s Ha Long Bay. 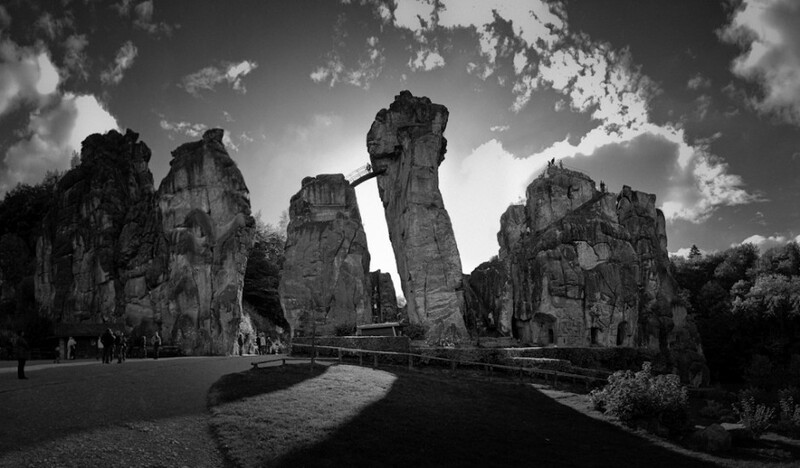 The Externsteine are five giant sandstone pillars, perhaps most remarkable for standing in an area of northwestern Germany that's otherwise lacking in rocks. In addition to the bridge visible above, the site also features stairs and carvings. 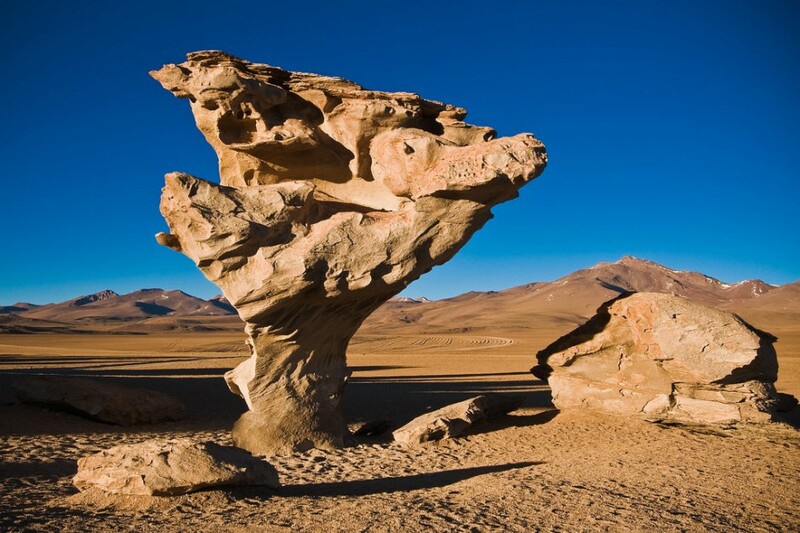 You can get to this one on most longer tours out of Uyuni. 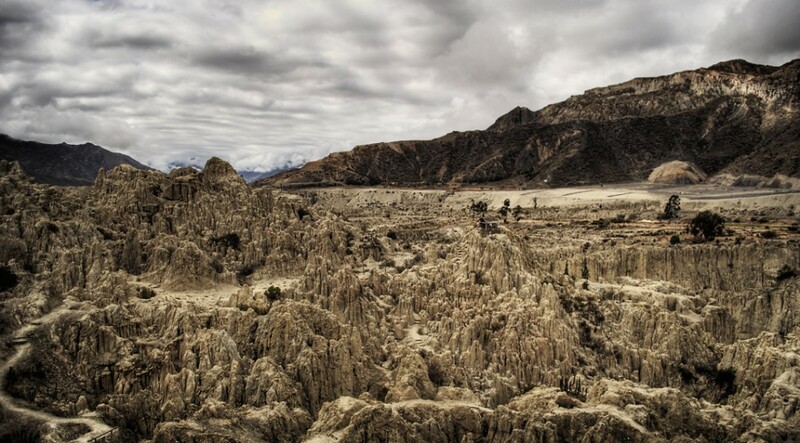 It's protected within the Eduardo Avaroa Andean Fauna National Reserve. 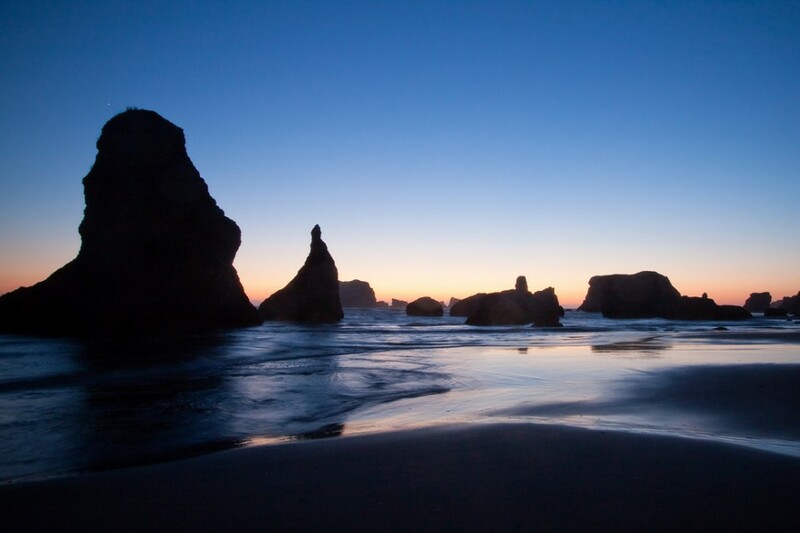 Find these formations right on the beach at Bandon, just south of Coos Bay. 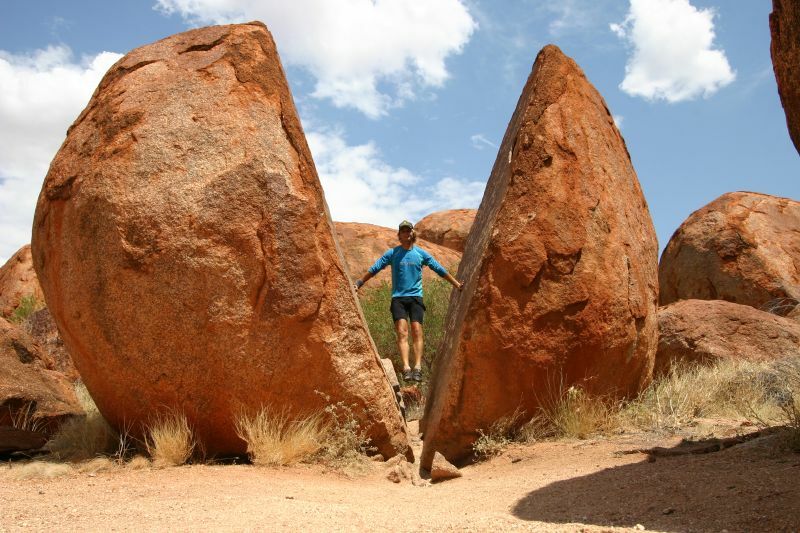 Huge, spherical granite boulders cover the ground at this site in NT, Australia, some of which are balanced precariously on uneven surfaces. 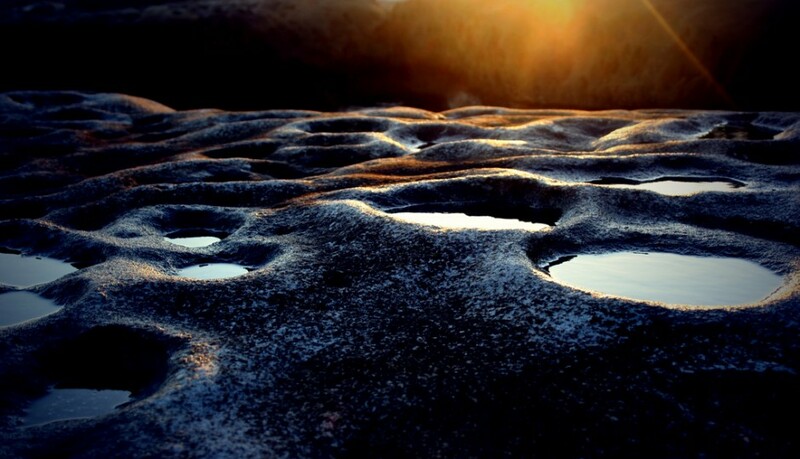 The extreme differences in temperature between day and night cause constant expansion and contraction of the rocks, which can result in full cleavage. Mythical creation story of the "Troll's Hat," courtesy of Wikipedia: "According to legend, the hole was made by the troll Hestmannen while he was chasing the beautiful girl Lekamøya. As the troll realized he would not get the girl, he released an arrow to kill her, but the troll-king of Sømna threw his hat into the arrow's path to save her. 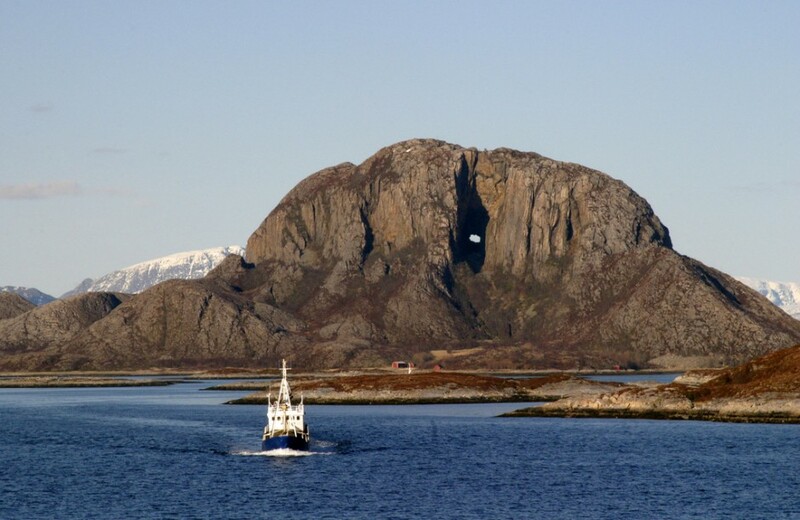 The hat turned into the mountain with a hole in the middle." The tapered limestone pillar is located just 40m from the shore of Khao Phing Kan, also known as "James Bond Island" for its appearance in The Man with the Golden Gun. Expect boatloads of tourists. 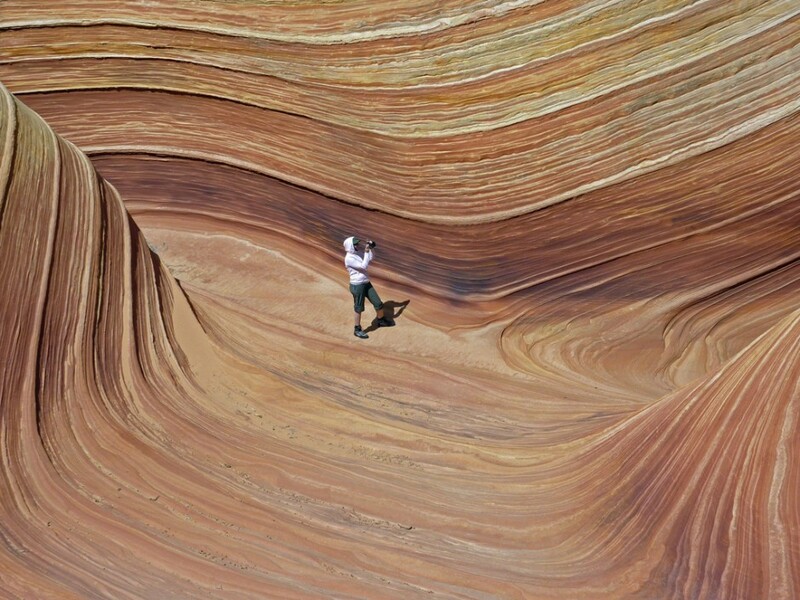 Photographer's notes from the Buttes, which requires a lottery-won BLM permit to visit: "The day I went into the Wave it was about 40 degrees with winds at a steady 30-40 MPH - it was downright nasty since there is a lot of sand and it was blowing everywhere. I was following another party toward the Wave and we kept trading hiding spaces from the wind. When I got to the actual Wave area the wind was so strong I could barely stand up. I was so worried about shooting with my Canon 30D that I ended up using my backup camera, a Panasonic Lumix ZS-3 for most of the shots and I really liked how they turned out." 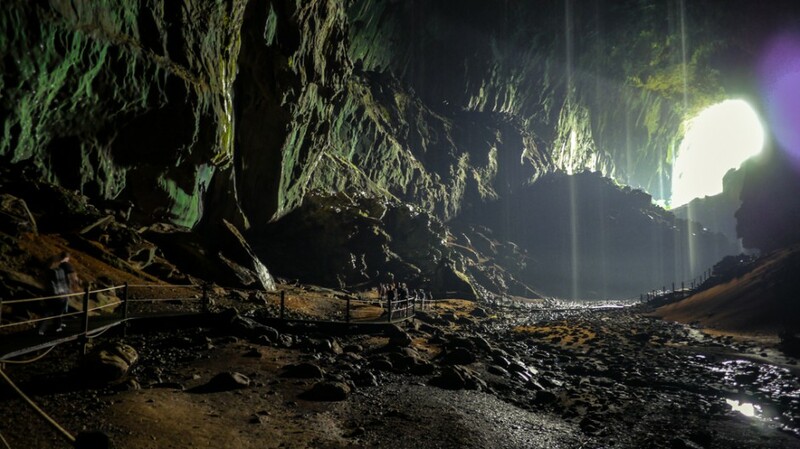 The passage of Deer Cave, in Gunung Mulu National Park, is 4.1km. Its max width is 169m, its height 148m. The cave gets its name from the deer that frequently visit for the salt lick inside. 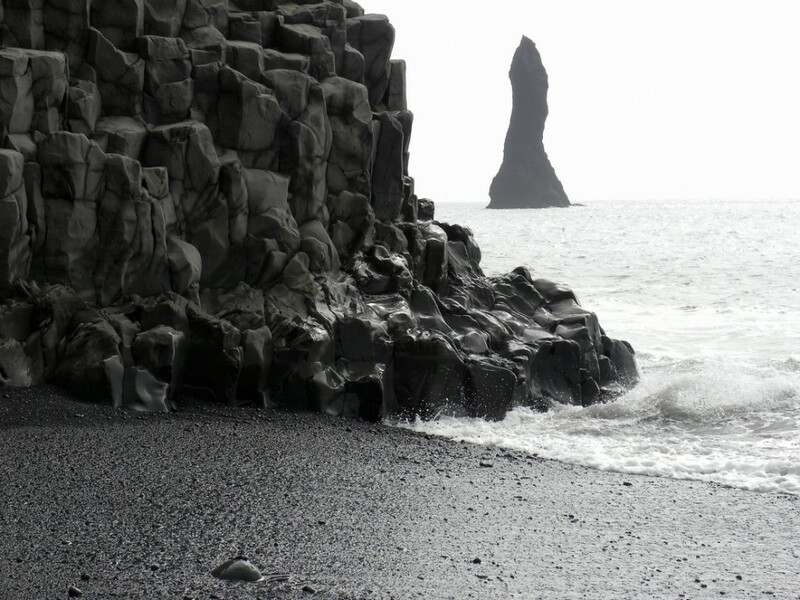 On the southern coast of Iceland, near the village of Vík í Mýrdal, the Reynisfjara are a group of basalt sea stacks just offshore from the mountain Reynisfjall. The columnular basalt of the latter, and one of the former, can be seen above. 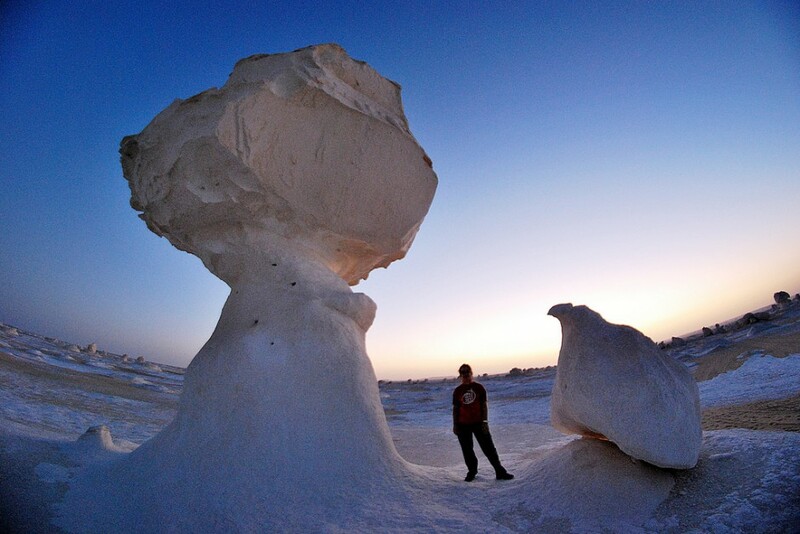 Sahara el Beyda, or the White Desert, is 30 miles north of the town of Farafra. 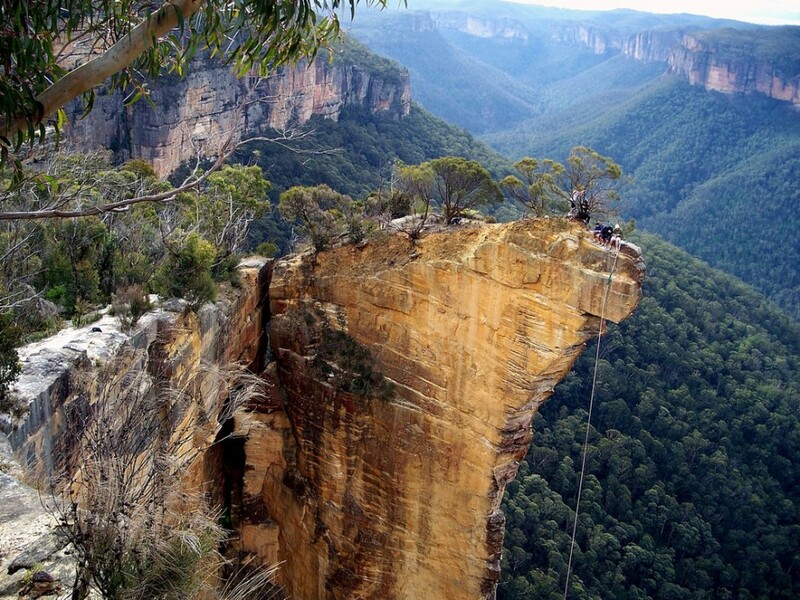 It gets its name from large tracts of chalk rock that cover the ground, some of which has been shaped into improbable formations by sandstorms. The topography along the Li River in Guangxi is similar to that of Halong Bay, Vietnam -- and in both places, boat trips are popular among tourists. After a few different confluences, the waters of the Li flow into the Pearl River, which empties into the South China Sea near Hong Kong. 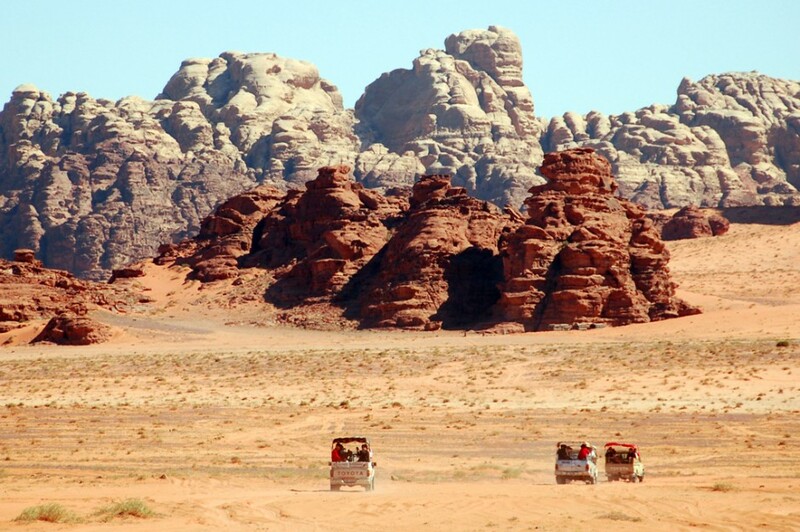 The granite and sandstone mountains of Wadi Rum comprise a vast system of valleys and canyons that tell of ancient geologic uplift and floods, and continuing erosion. Get around the area on foot, by camel, or in the back of a Bedouin pickup. 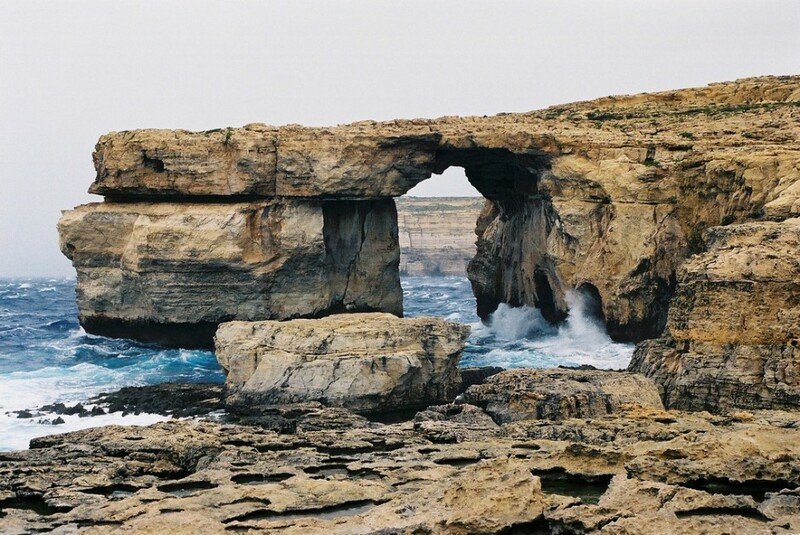 There's good diving in the waters around the window, which is situated on the island of Gozo. Cliff diving is another popular, if less-sanctioned, local activity. Better go see this one soon -- it's falling apart and apparently only has a few years left. According to the photographer, this well-defined honeycomb formation can be found on a beach in La Perouse, a suburb of Sydney. 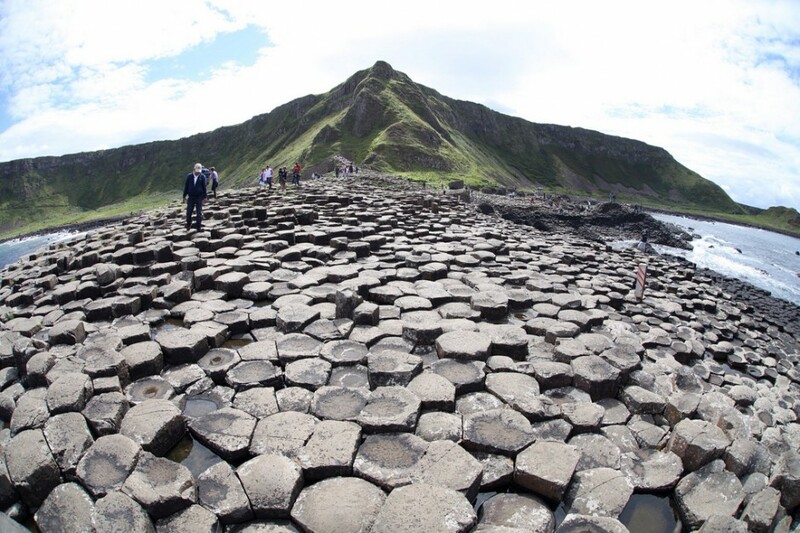 There are an estimated 40,000 basaltic columns contained within this formation on the northeastern Irish coast. Legend says the causeway was built to connect the island to Scotland and was destroyed by the giant Benandonner when he was driven out of Ireland. 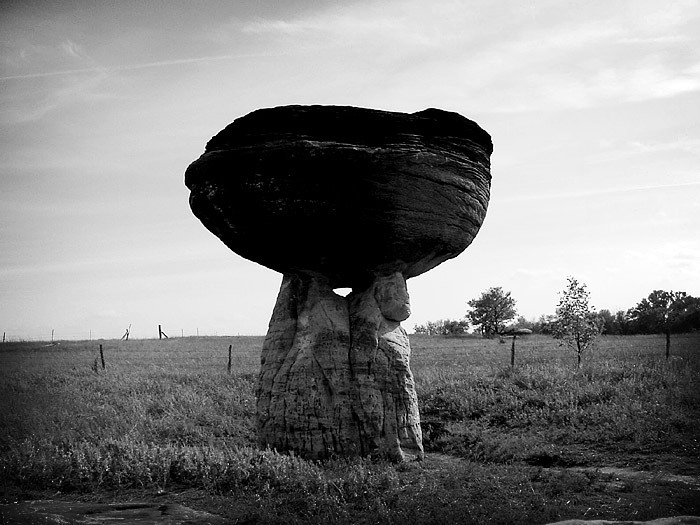 This pedestal rock is located just off the interstate near Salina. It's one of many formations within the 5-acre Mushroom Rock State Park. 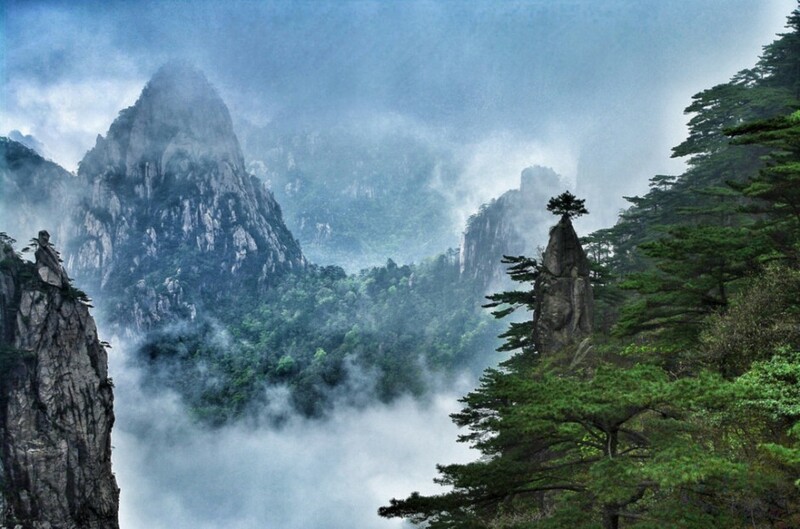 Eastern China's "Yellow Mountain" is a glacier-carved range with a 5,900ft treeline and a whole bunch of really cool granite pinnacles. Inspiration for thousands of Chinese paintings and poems. 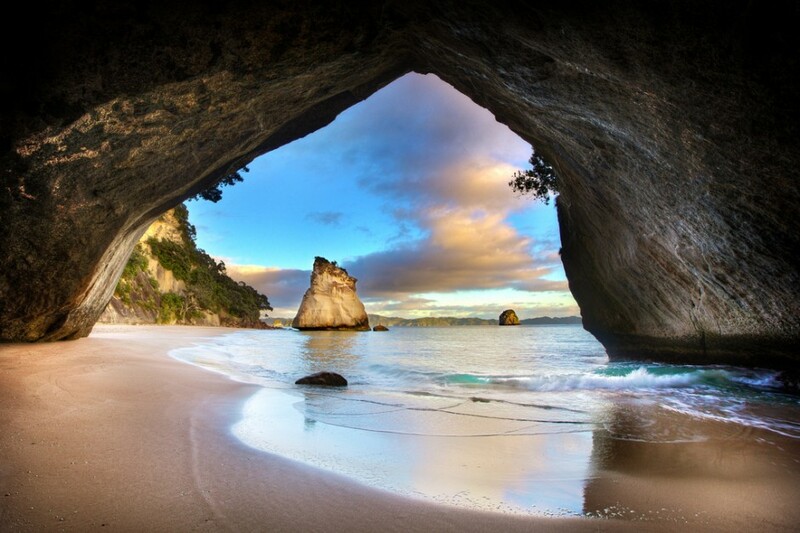 It's 2-for-1 in the shot above: Te Hoho Rock is visible through the opening of the Cathedral Cove Sea Cave. Find them both across the gulf from Auckland on the North Island. 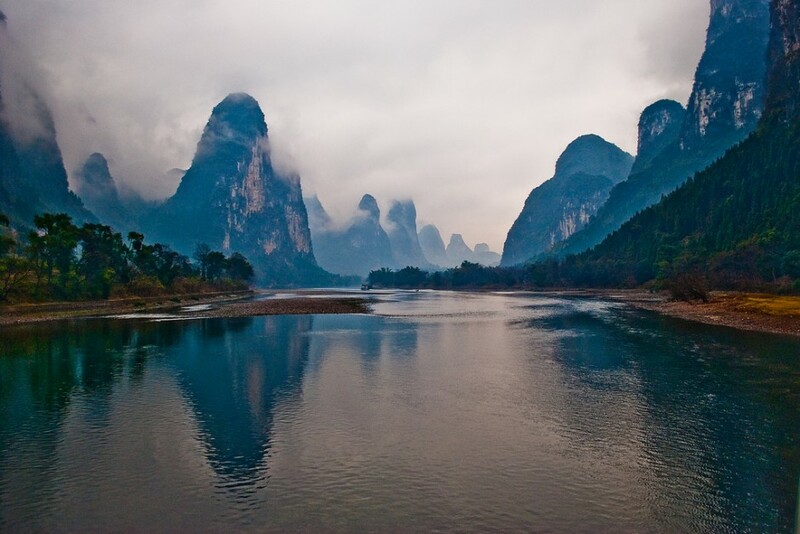 Many individually notable features are present along the course of the Li River in Guangxi. 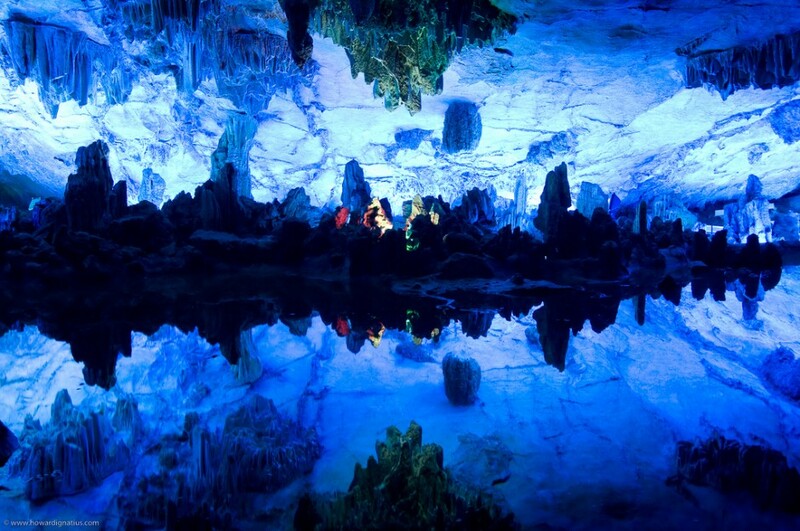 Reed Flute Cave, a 240m passage inside the karst mountains, is one of them. Not sure about the multicolored lighting that's been added for visitors, but it makes for a cool shot. A view of the Mittens and the park loop road -- one of the most iconic US landscapes. 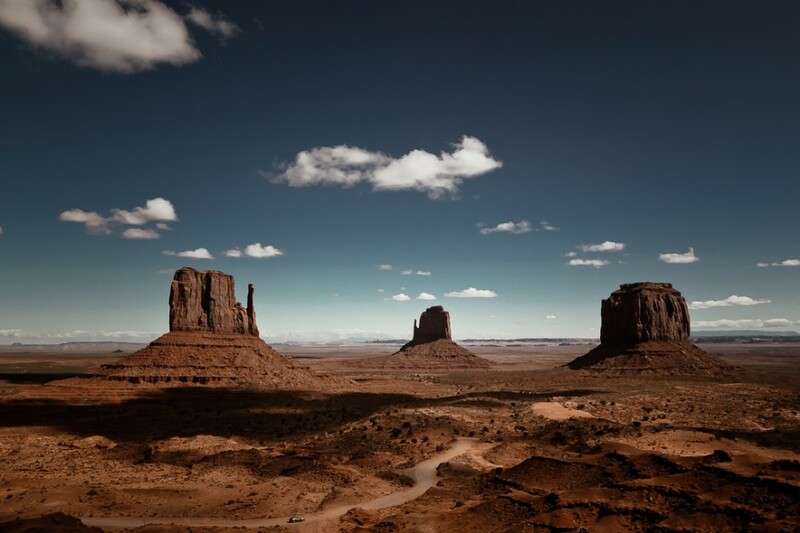 Much of the area falls under the jurisdiction of the Monument Valley Navajo Tribal Park. It seemed like every country I visited in South America had its own "Valley of the Moon" -- this one just down-valley from La Paz, where erosion has eaten away at the clay landscape. 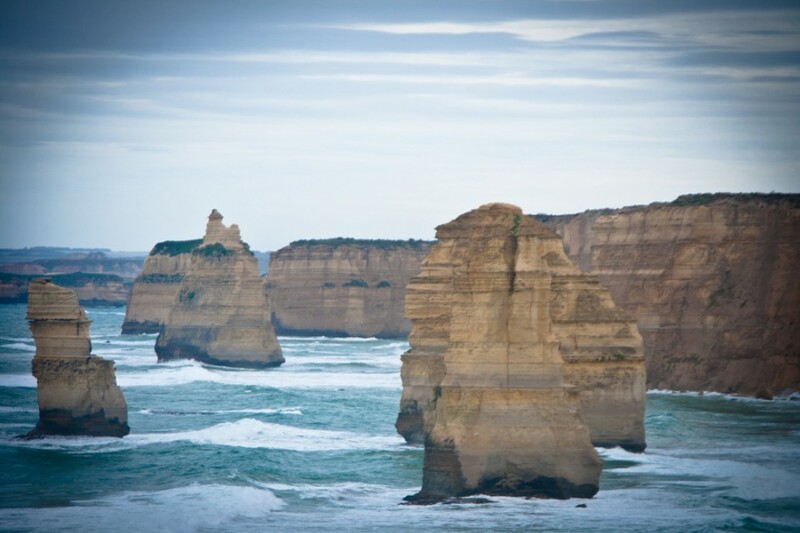 This series of limestone stacks, located at Port Campbell National Park, is probably the best-known site along the Great Ocean Road. This rocky section of Bali coast features temples built on top of the formations. Batu Balong is shown above, and nearby is the more famous Tanah Lot. 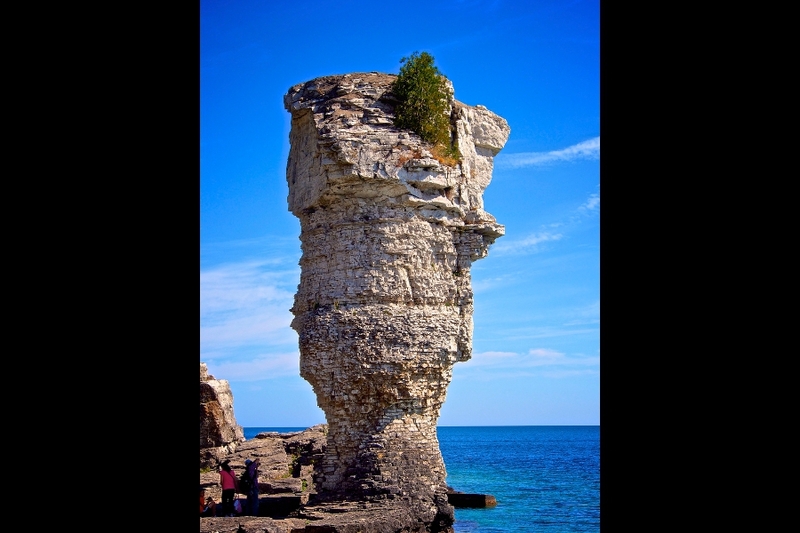 One of two rock pillars in Fathom Five National Marine Park, Georgian Bay, Ontario. Regular boats run to the 490-acre island, where there's camping and hiking trails. 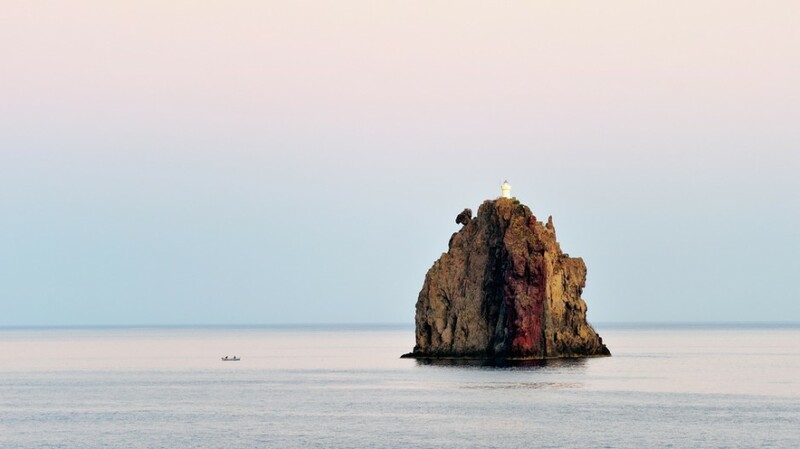 This sea stack is a volcanic plug -- a formation of hardened magma from inside an ancient volcanic vent. 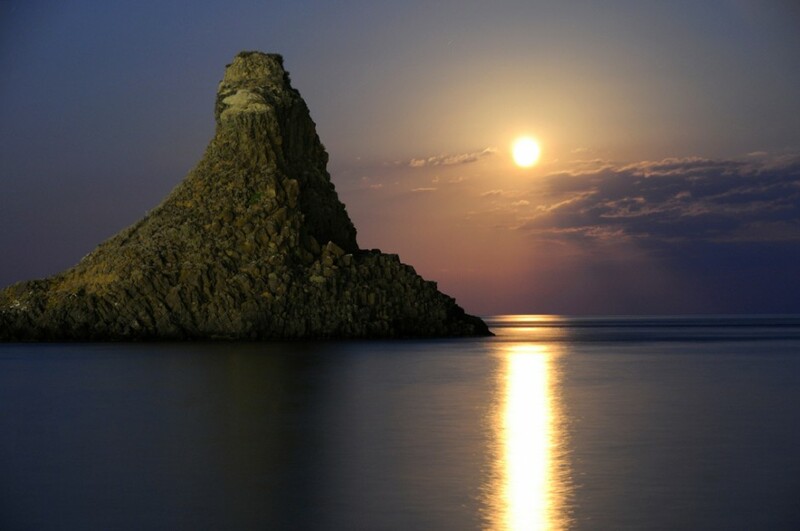 It's associated with the volcano that formed the modern island of Stromboli, in the Tyrrhenian Sea north of Sicily. 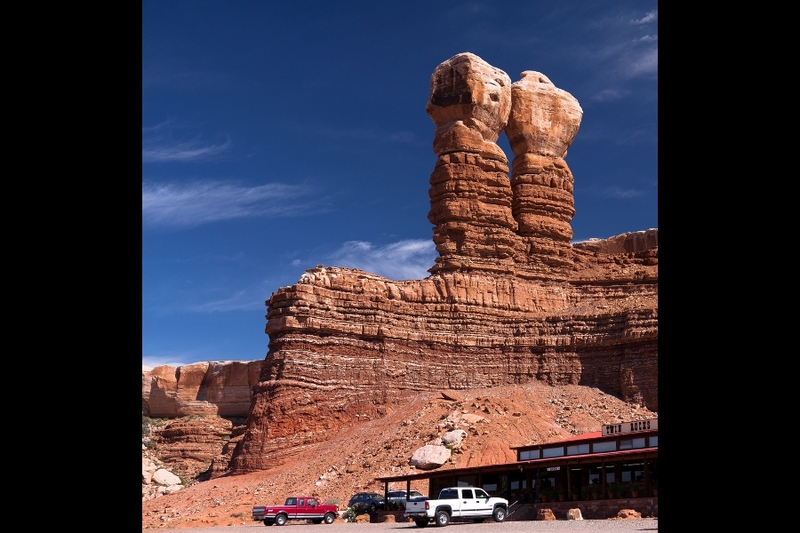 A pair of pillars in the small town of Bluff (population 300), Utah. The trading post at its foot has a cafe whose menu features, among other things, "Navajo Pizza." 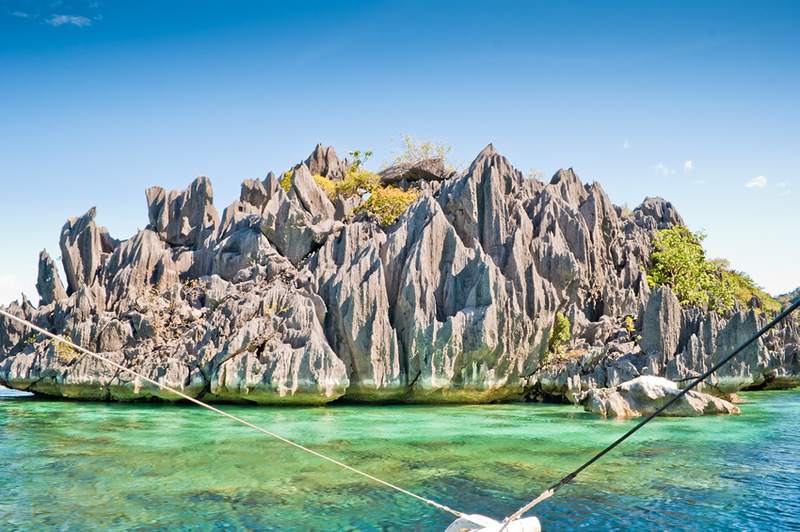 There's good diving, good swimming, and some pretty cool rocks around the island of Coron, in the Calamian Group. The common name of this area is taken from the Navajo Bistahí, which means "among the adobe formations." In addition to the hoodoos, petrified wood, and other rock features, there are petroglyphs -- people have inhabited the region continuously for 12,000 years. 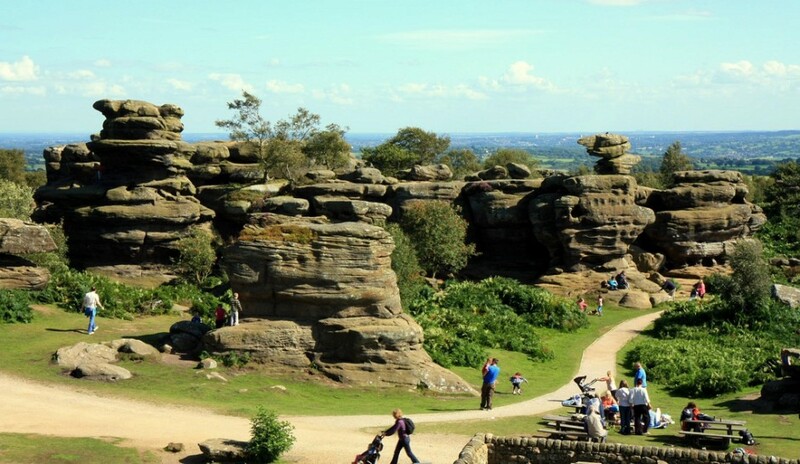 These sandstone clusters in northern England have been eroded by water, wind, and glaciers over the millennia. Closer up, you can see some really crazy balancing formations, like Idol Rock. 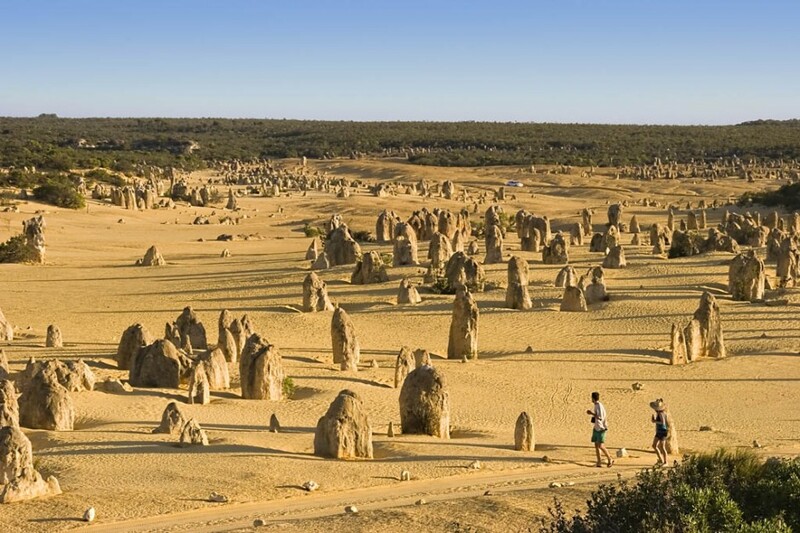 In Nambung National Park, near Cervantes, the Pinnacles are short limestone spires whose exact geological origin is still being disputed. Just a half kilometer off the road near the town of Yana in southwestern India are two giant outcrops of solid black limestone. There's a cave temple below one of them. This formation gives its name to a tiny town of 88 people on the borders of the Navajo Nation and Monument Valley in southeastern Utah. 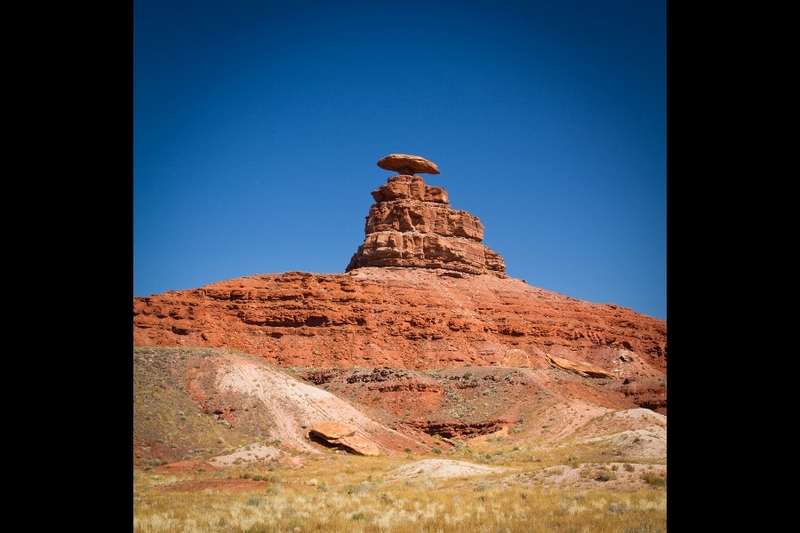 The 60ft-tall "hat" has two recognized climbing routes. 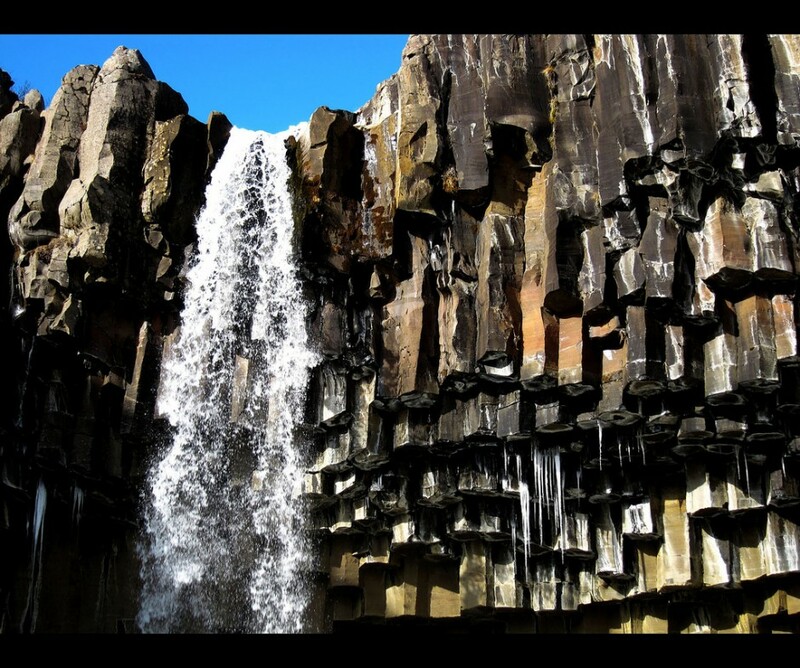 Svartifoss, or "Black Fall," gets its name from the dark basaltic columns that frame it. It's one of the main features of Skaftafell National Park in southern Iceland. 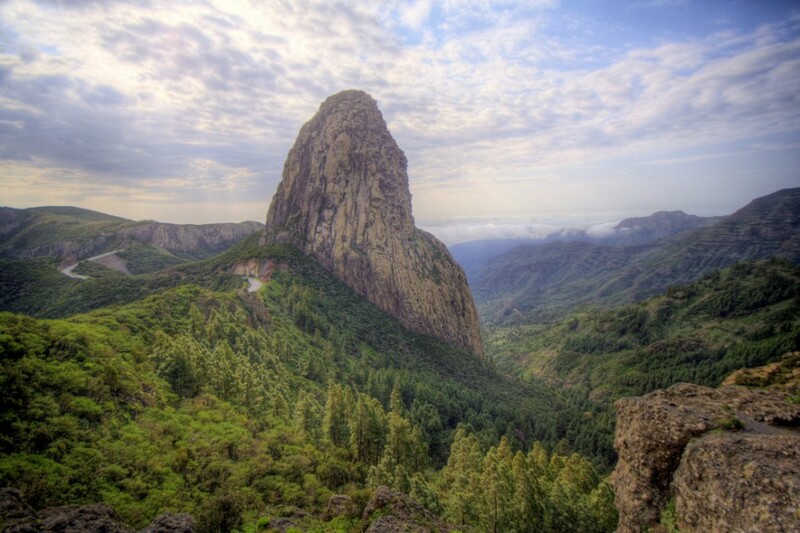 Another volcanic plug, Roque Agando juts 590ft above the surrounding island topography and a main highway. There are no trails to the summit, and climbing is currently prohibited. 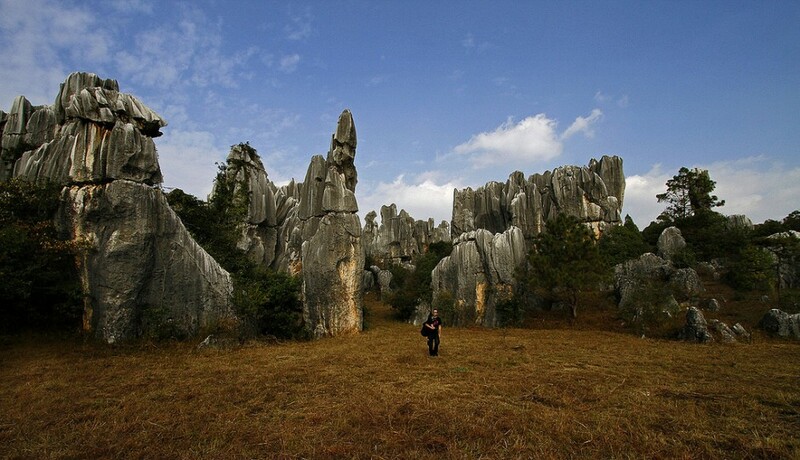 75 miles from Kunming, the Stone Forest, or Shilin, comprises multiple groupings of "stalagmite"-style limestone formations. 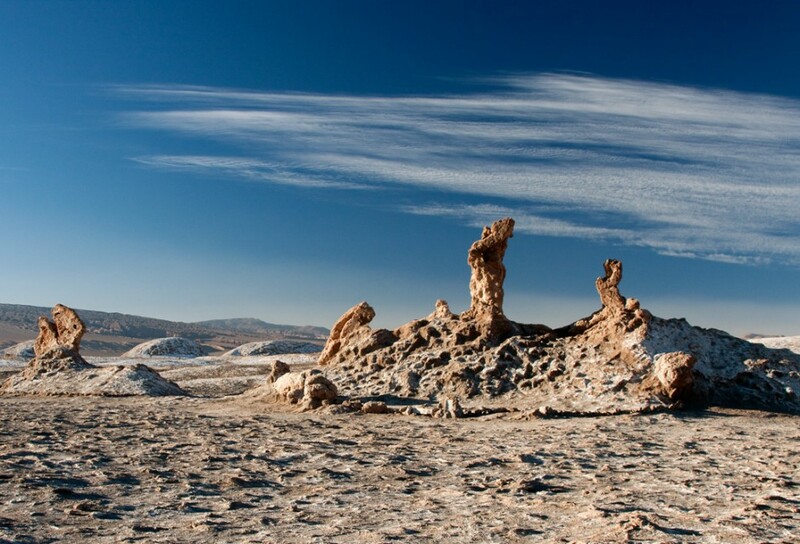 They're thought to be more than 270 million years old. This shot is from another South American Valle de la Luna, this one near San Pedro de Atacama, Chile. 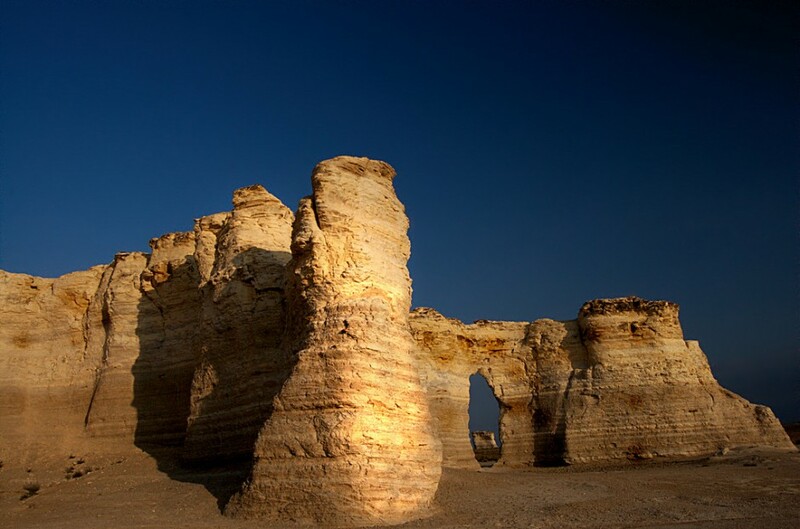 The Candle Rocks are just one of many formations present at Yehliu Geopark in northern Taiwan. Detailed geological information on all of them is listed on the park's website. 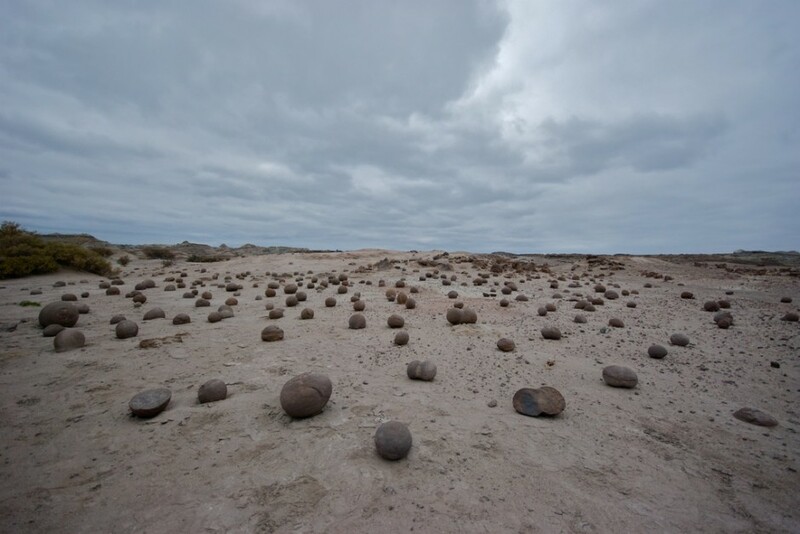 Ischigualasto Provincial Park, on the northeast border of San Juan province, is an area associated with dinosaur remains and interesting geologic formations like these spherical concretions, at a site known as the "Ball Court."